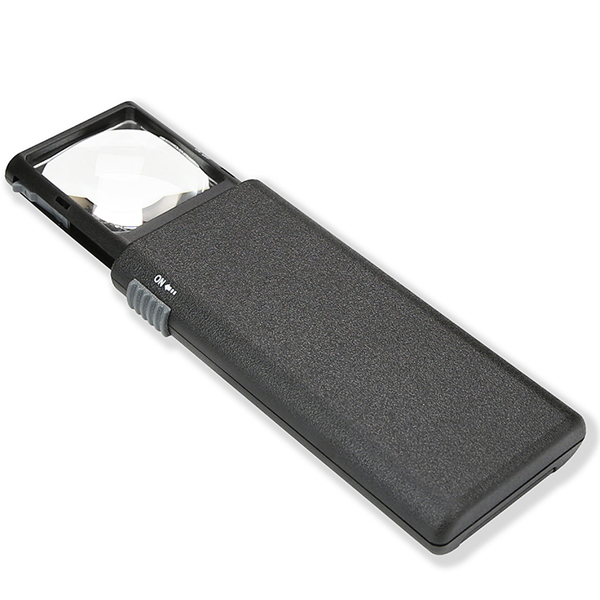 The LumiPop Pocket Magnifier is a compact, slide-out Magnifier with a protective plastic case. It boasts a crystal-clear aspheric, acrylic lens. Aspheric lenses provide a clear image with no blurring and little to no distortion. Perfect for reading small type in low light. It has a convenient on/off switch that powers the super bright LED Lights. * Dimensions: 6.125" x 2" x .625"